In 2003, I helped put on a writers conference at the Birmingham Public Library where I work. It was called Alabama Bound. The weekend after the conference, I was bored, sitting in our old rental house in between Greensprings Avenue and I-65. That house had 743 square feet for two grown men and two grown bulldogs. It was like living in a kennel. We hardly had enough room to play fetch. But it was a wonderful spot. It had a fireplace that took up half the living room where my real English bulldog Goose enjoyed the fires. My partner Danny is a nurse and you may or may not recognize him in the book as Imogene’s son Billy. He was working that weekend, and I decided to start writing my first novel, an adventure featuring a character named Imogene. The Imogene character was inspired by my partner’s mother who grew up in Tuscaloosa County, Alabama, during the Great Depression and lived an amazing life. She was fiercely independent and unique and strong. She loved and accepted people for who they were. We would go visit her in her house in Tuscaloosa and she would fix us the best meals you could ever eat. They included fried okra, seven layered salad, Irish potatoes and onions, pork chops, cube steak, cornbread, butter beans, black-eyed peas, homemade coleslaw, coconut cake, fried apple and peach pies. After our feasts, we’d sit on her front porch and she would tell me stories of her growing up in the 1930s with her sisters and brothers then her marriage to her husband and all the crazy, dangerous, hilarious things that happened to her and her family. My first book was Jackson’s initiation into the myth and legend inspired by this family. In particular it was an adventure set in Tuscaloosa County, featuring Imogene and the boys, and some of her other relatives. I loved that book. I want to publish it one day, although it needs some work, because characters evolve the more you write about them. Imogene and the boys in Imogene in New Orleans are much more developed than they were in that first book. I would wake up in the morning before work and I would write for 30 minutes or an hour, and then go to work and think about my book like Muriel Spark mentioned, and then I would return home and work on it again. 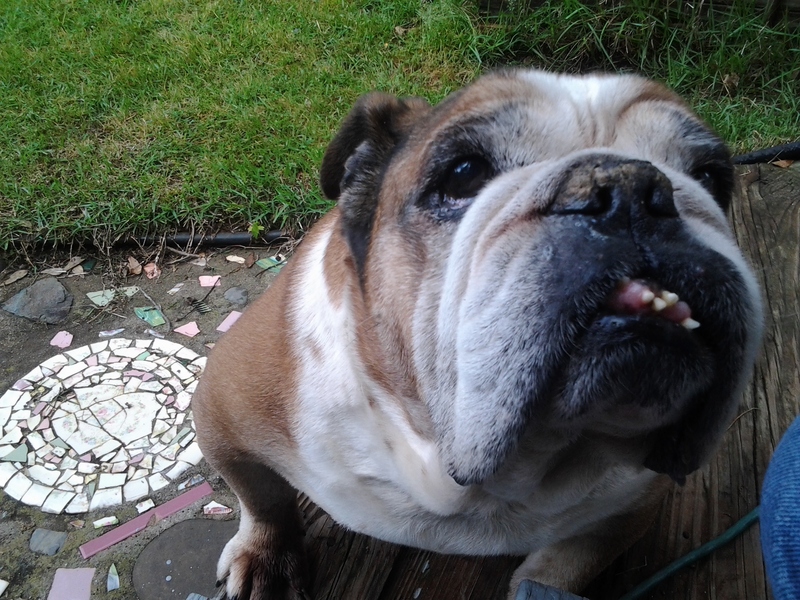 Usually, my bulldog Goose would sit in the thrift store chair beside my desk and snore or stare at me as I wrote. He was an excellent muse and still is really. So much so that I had to put him in this mystery series. So, I finally finished a rough draft of my first book, and began reading it to friends and family. A local writer named Wendy Reed from Tuscaloosa read the first 25 pages. She was encouraging, so I took her suggestions, made some changes to the book, and then began submitting it to literary agents. I got bored again, waiting to hear from New York City or California or Nashville or wherever I sent the letters and emails to agents. I decided to write another book. The second book featured a college student in Tuscaloosa who sort of comes of age at the university. I had as much fun writing that book as I did my first one. It was a little bit of a mystery. So I read it to my partner, Danny and then I sent it to a friend in New Orleans to read, and then I tried to find someone to publish or represent it. I had a few agents who were interested in both my first books, which was encouraging, but honestly I was having so much fun writing that I didn’t want to stop. At some point while writing that second book, my partner and I began visiting friends in New Orleans. They lived in uptown, just like Neil and Allen do in Imogene in New Orleans. 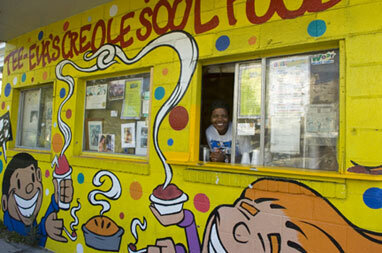 Also, they live incredibly close to the St. Charles streetcar, just like Neil and Allen. My partner and I took the streetcar down to the French Quarter and all the way back uptown to where it stopped, where we had to exit the streetcar and wait there while the drivers took their breaks, and then we boarded the trolley again and rode back down through the Garden District and the commercial business district to the French Quarter. We visited a friend who had an art gallery on Royal Street, just like Glenway Gilbert in the book. At the back of the main gallery, there was a courtyard leading to a private studio where the artist worked. He had figurines on display there. It was dark and mysterious and it looked like a great place to get murdered. We also visited a friend who lived on Royal Street in an old 19th Century building with three stories, divided into separate condo units. It had a pool with two lions spitting water, where Goose drank a few sips in my novel. In fact, I ended up setting a few scenes in that building, especially with Thurston and Jackson. Imogene discovers Lena’s pralines before she meets Lena. As a matter of fact, one of the people who reviewed my book did NOT like the fact that Imogene went into Glenway Gilbert’s studio and picked up a box of unopened pralines and ate one. I’m not sure why this reader took issue with the treats, but the funny thing is that Billy in the book felt the same way as the reviewer. He didn’t like that his mother had eaten he pralines either. Billy prepared his sugar monitor as he scolded his mother. “You’ve eaten two. You better not eat another.” He held his hand out for Imogene to pass him the pralines that she had in her white-knuckled grasp. Jackson fastened the rearview mirror on her and watched as she slipped two of the confections in her pocket along with a scribbled note from the box, and handed the rest to the front seat. But the real praline shop was next door to my friends’ house. It has since moved down Magazine Street a little, and if you’re ever in that area, make sure you stop in and buy some from Tee Eva. So after our initial visit to New Orleans, the real Imogene moved in with us. She would go on trips with us, and we had a scream, traveling all over the Southeast, oftentimes with our bulldog Goose. As a matter of fact, the whole idea for this mystery series resulted from our many trips and good times together. Of course, we visited New Orleans with her. 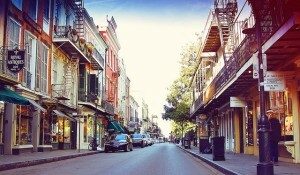 We stayed in a hotel in the French Quarter on Toulouse Street. It’s called the Maison Dupuy and it became the hotel Chez Hill in my book. He fastened his sunglasses so no one would recognize him, enjoying the warm breeze, feeling like Samuel Clemens himself. 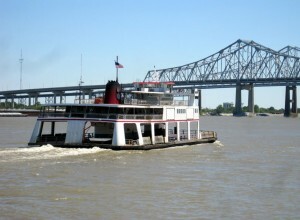 Midway through the journey, the boat neared the bridge. A young couple and their kids fed the seagulls from the edge. Beyond the birds, he could see the steeples of the St. Louis Cathedral from the park where he’d lost Imogene and found Thurston. The sun shone on the water, turning its deep brown into a golden orange. He felt free. And then right after that, he gets beaten up again. Poor Jackson takes his share of licks in the book, for sure. 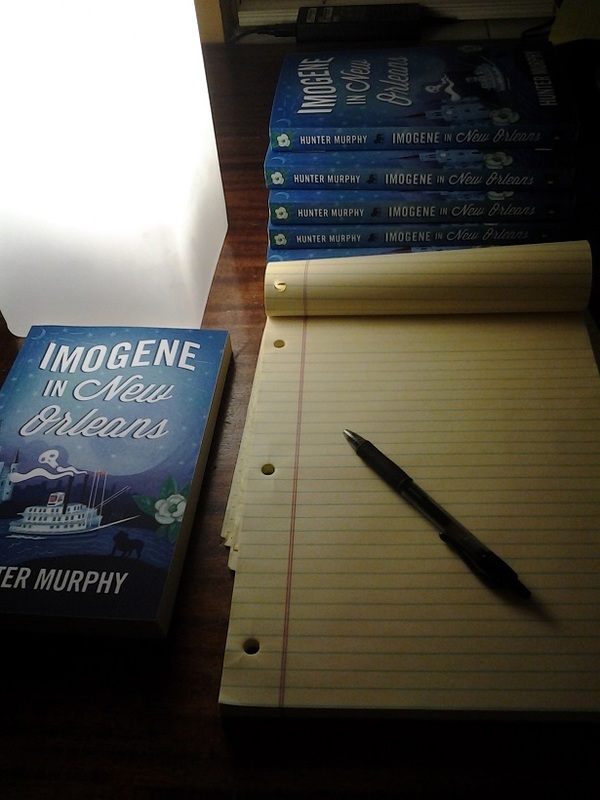 Some time after our real trip to the Crescent City, while I was trying to get my other books published, I started writing Imogene in New Orleans. This was about six years ago. It had been a few years since my first fictional adventure with Imogene and the boys. And I missed them. I wanted the chance to write about them and explore their stories more and put them in more books and settings. I’ve always loved watching detective shows on television, especially Murder She Wrote, Monk, Psych, The Closer, Grimm, etc, so I thought it would be fun to put Imogene and the boys in a murder mystery series. That way, I could keep them alive for a while longer. Imogene in New Orleans is the result of that decision and I could not be more pleased. It’s been such an adventure.